Google Developers Blog: Polymer Summit Schedule Released! We’re excited to announce that the full speaker list and talk schedule has been released for the first ever Polymer Summit! Find the latest details on our newly launched site here. Look forward to talks about topics like building full apps with Polymer, Polymer and ES6, adaptive UI with Material Design, and performance patterns in Polymer. 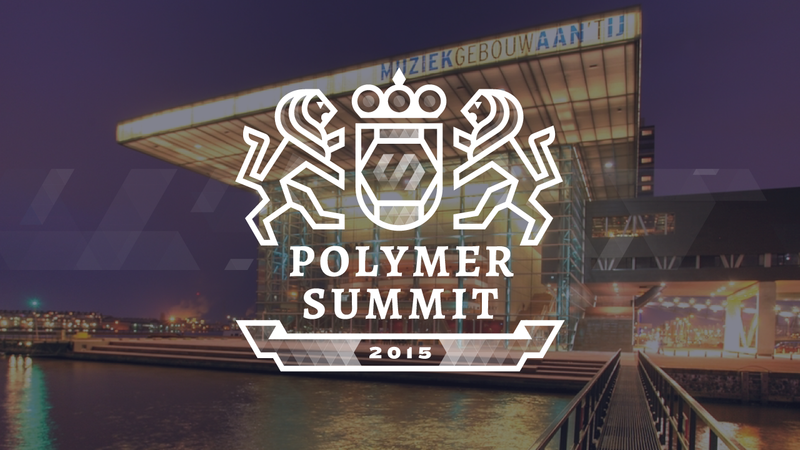 The Polymer Summit will start on Monday, September 14th with an evening of Code Labs, followed by a full day of talks on Tuesday, September 15th. All of this will be happening at the Muziekgebouw aan ‘t IJ, right on the IJ river in downtown Amsterdam. All tickets to the summit were claimed on the first day, but you can sign up for the waitlist to be notified, should any more tickets become available. Can’t make it to the summit? Sign up here if you’d like to receive updates on the livestream and tune in live on September 15th on polymer-project.org/summit. We’ll also be publishing all of the talks as videos on the Google Developers YouTube Channel.